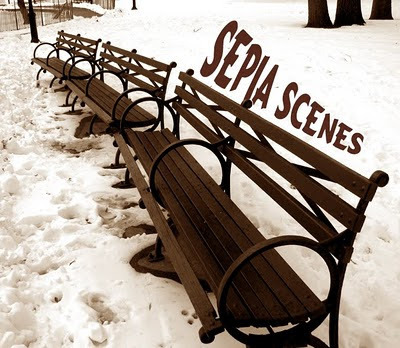 On this snowy day in New York City it's Sepia Scenes! You're looking at the BACK of Hempstead House and the view when you turn to look out to the Long Island Sound. Go here to see the FRONT. I love the second photo which, to me, looks like a real old photo. 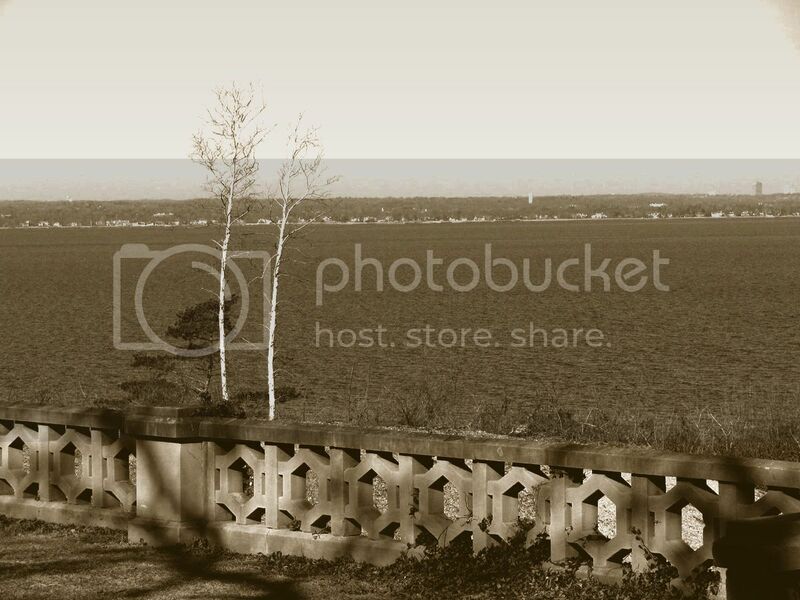 wow those are perfect in sepia :) that house looks like those houses being used in movie with an old settings! classic! 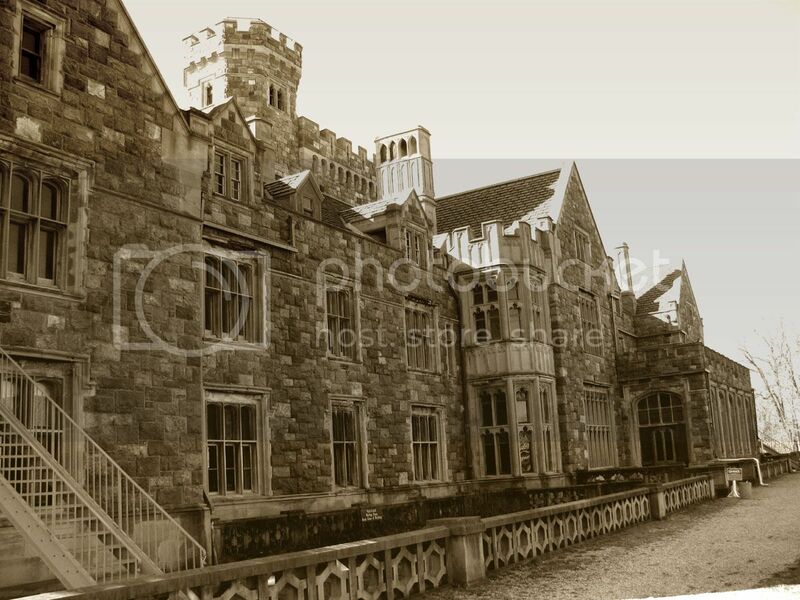 This is such an exquisite building - love the stonework and of course sepia does it justice all the way!!!! Nice shot in sepia of snow in NYC. what a house--I love the texture of the block and what a view. My first thought was "The Shining". This building holds a lot of mystery. Love the header shot Mary and the St. Augustine quote is beautiful! The Hempstead Home continues to be gorgeous in your shots and oh my what a view! I'm continuing the Valentine theme with my sepia today. Yep, we are in snowy-land just like you. I love both of these photos, and I think they both look old. The architectural details of the Hempstead House are beautiful. I do love the quotation from St. Augustine about love. Thanks for sharing, Mary. Neat old structure Mary. Sepia suits it well. The view to the sound sure is flat. The old house works very well in sepia. Lovely stonework. Nice shots Mary. And I really like the quote from Augustine at the top. So very true. That is so beautiful. The building is amazing and the intricacy really comes out in sepia. What's fun is that your view from Long Island is I think toward Rye (where I was this summer - my mother in law was from there) and Playland tower. I was looking toward you from Playland pier last August. (http://palosverdesdailyphoto.blogspot.com/2009/08/playland-light-tower-rye-new-york.html) I'll have to post the view looking the other way next week. So very cool. Some special sepia pix. The mystic landscape with this indefinite shadows and blur trees. I read it's snow, but it reminds me of scenes from a dream. Yes, that first picture is nice. The sepia is just the right treatment for the old style (neo-gothic?) of the building. the house is huge and exquisite! this is my first time to join your meme. thank you coz' i'm having fun!! I really like the first photo. I love all the texture. Love these pictures in sepia tone, especially the building. Have a great day. Love both of these-and they are perfect for Sepia! Genial post and this enter helped me alot in my college assignement. Thank you as your information.